Gowell works with leading education partners – such as the University of California campuses – on official, branded academic programs. 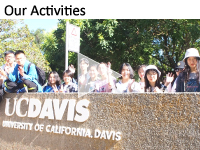 In particular, Gowell offers popular credit bearing and STEM programs at UC Davis, suitable for students from upper elementary to university age. 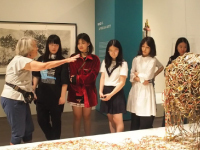 All our overseas studies programs feature classroom learning, learning at university and research facilities, activities-based learning as well as tours to neighboring universities and cultural landmarks. Our bilingual teachers accompany students throughout our programs and we focus on building camaraderie among students while being attentive to individual student needs. Our programs have a 100% satisfaction rate from our participating students. See our GoLearn World website. 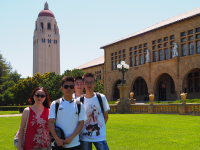 We have programs in the U.S. West and East Coast as well as Hong Kong. Click to view our videos below and contact us for additional program information. Gowell also has a master license to operate the U.S. ACT’s university preparation program, the Global Assessment CertificateTM (GAC) program, throughout China. 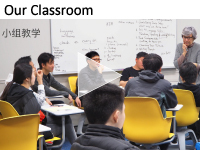 This 9-month course is the most widely-recognized university preparation program in the world and is focused on preparing students for tertiary education in English-speaking countries. Its curriculum covers a wide range of subjects taught in English – from Academic English to Math and Science – and our students have direct admissions to 180 leading pathway universities around the world, over half of them in the U.S. 100% of our graduates are successfully admitted into overseas universities. See our GAC-ACT program website. For more information to our school partners, see our WeChat brochure and program video. © Gowell Software Ltd. All Rights Reserved.